Yes, STILL working on reviews from last summer. I'm getting closer to being caught up, though! This round of books includes adult fiction from 3 different genres. 3 stars: An interesting take on the Bible stories and characters. 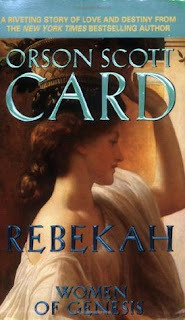 Rebekah, an Israelite woman raised by her father, has run the household since her mother's death. She is used to being in charge, making decisions, and settling disputes amongst servants. When a man comes to their camp with an offer of marriage to Isaac, a devout man of God, she decides to take the offer. She has never met him in person, but her faith is very important to her and she feels that this marriage will be an answer to her prayers. After all, it would be very hard to stay faithful if she were to marry an unbeliever. As she gets to know her husband and his family better, she realizes that her take-charge personality is not as appreciated in her husband's circle as it was in her childhood home. She particularly tends to clash with Isaac's father, the patriarch and prophet Abraham. Then there is the trouble of her infertility. How can Isaac be the son of the promise, if she is unable to bear children? I appreciated the way Card brought these characters to life, giving them very real family tensions and backstories. It wasn't as I have imagined them to be, which probably accounts for my somewhat cool reaction to the story, but it was still enlightening. Card built up a conflict between Ishamel and Isaac that felt authentic, with Isaac portrayed as the more studious, spiritual brother, and Ishmael as the more physically strong, outgoing one. In this version of the story, Isaac's less forceful personality led to utter lack of approval from his father throughout his life, which led to deep self-doubt even once he had become the prophet himself. Anyway, like I said. Interesting. 4.5 stars: Pride and Prejudice with dragons? Count me in! Aliza Bentaine's little sister was slain by a gryphon. Though their resources are few, the village and her family have pooled together enough money to hire Riders to come hunt the vicious beasts that have made everyone afraid to leave the safety of the Manor. Aliza is relieved and happy that this serious threat will be taken care of. She is not so happy that Alastair Daired, one of the dragonriders, is rude, arrogant, and seems to think he is far too good for their reduced circumstances. Meanwhile, one of the other dragonriders hits it off with her sister Anjey, Aliza overhears a clandestine meeting between one of the dragonriders and a mysterious stranger, and her mother does her level best to arrange matches for her daughters. This was so much fun! I enjoy retellings anyway, but haven't found many retellings of Jane Austen that I've enjoyed. 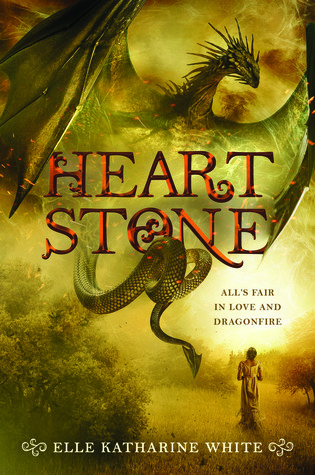 Here we had Pride and Prejudice as the backbone of the story, but then there were all these other great additions--dragons, yes, and wyverns and hobgoblins and other fantastical creatures. A bit of magic here and there. White didn't stick strictly to the plot sequence that Austen used. Some of the storylines differed by necessity to fit into her new world, but there were enough similarities there for touchstones along the way. I knew what had to be coming next, but seeing how she executed it within her own framework was a treat. Plus, I enjoyed getting to know her characters in their own right. I was excited to find out she has more coming out in the next 2 years. I will definitely read them! 3 stars: Slower; character-driven. A good one for book club. Antoinette is an unusual little girl. At 10, she is nonverbal and autistic. However, that's not what's really different about her. You see, she has a gift of healing. She can hear melodies from things and people, melodies that no-one else can hear. She can hear when something is wrong--the notes clash or don't sound right. Then somehow, she can make it right again, though not without cost to herself. 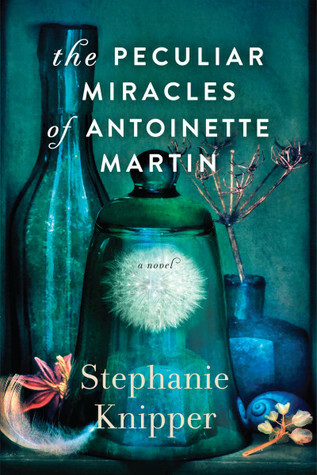 Her mother Rose is gravely ill and Antoinette can hear the bad music coming from her mother. She is desperate to heal her, but Rose--who has figured out her daughter's abilities and knows how taxing it would be for her--refuses to allow Antoinette to heal her. Rose runs the family's flower farm, with the help of a longtime friend and neighbor, Seth. She knows that she doesn't have very much time left and she's sick with worry about what will become of Antoinette and the farm when she's gone. Lily is Rose's sister and former best friend. Also, Seth's ex-girlfriend. When Antoinette came along, the relationship between the two sisters broke apart and has never been repaired. Until now. Lily is home again; ready to face up to past mistakes and misunderstandings, and try again. For all of their sakes. Interestingly enough, her neighbor Will has followed her home. He knows she needs support and though she consistently rejects any romantic advances from him, he decides to be there for her anyway. I had to smile at the setting--a flower farm? Okay. I'll settle in for awhile with this book. The story was told from alternating viewpoints, including Antoinette's. Her chapters were some of the best, actually. The plot was pretty slow moving, with most of the focus on the characters: their pasts, their ways of dealing with Antoinette, their attempts at rebuilding relationships now, and so on. I appreciated the perspective on raising an autistic child, with which the author has personal experience. In the midst of the difficulties there were moments of great beauty. Then there was the love triangle that wasn't. Lily never encouraged Will and in fact told him straight out that it wasn't going to happen between them. Yet he stuck around...why? It took awhile, but his motivations were eventually revealed--and it wasn't just to add some much-needed levity to the storyline. Seth was the brooding, "wounded hero" type. He seemed too good to be true, but heaven knows, those sisters needed all the help they could get. Content: Clean, from what I can remember. Read any good adult fiction lately?